I'm all about quick dishes that come together in no time these days. That said, I'm still all about making sauces and things from scratch that will result in meals that are more homemade than the result of cans and packages thrown together. Sure I've made a soup recently that involved a packaged item, but I'm not proud of it. This dish was a winner and filed under recipes that can be made in a pinch assuming your fridge is stocked with the sauce ingredients and you've got some shrimp in the freezer. Start the rice before you start the shrimp and have some snap peas you can steam real quick (even in the microwave) and you're good to go. 1. In a small bowl whisk ketchup through vinegar for the sauce. 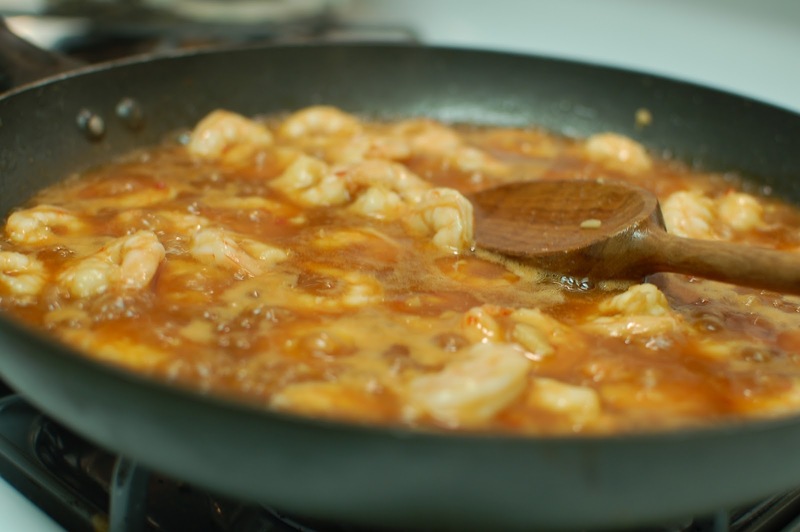 Heat a skillet then add the oil and ginger and garlic for 10 seconds before adding the shrimp. Cook just about 2 minutes until just cooked then whisk in the sauce and cook about 3 minutes more until the sauce has thickened. Done! 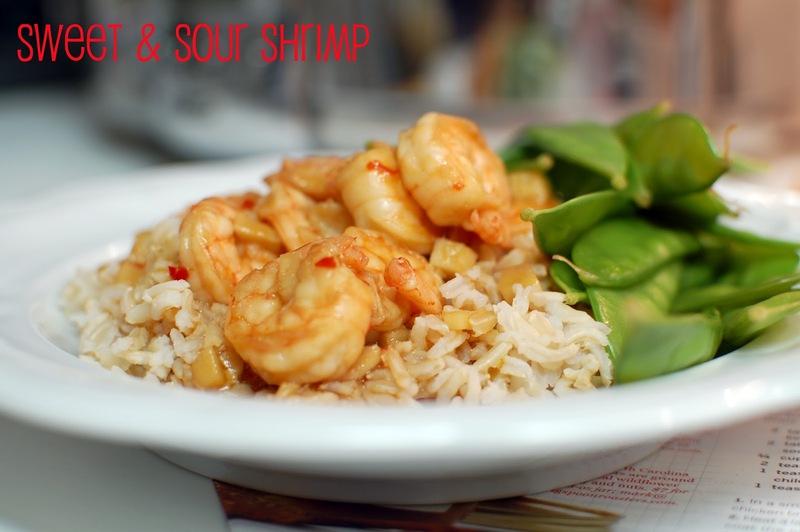 Serve with rice and snap peas!